Hello Speedhunters! Last month you might have caught my guest coverage of Driven Calgary in Canadian Car Culture On Display; now I’m excited to be back to share my personal project car at the request of some readers. 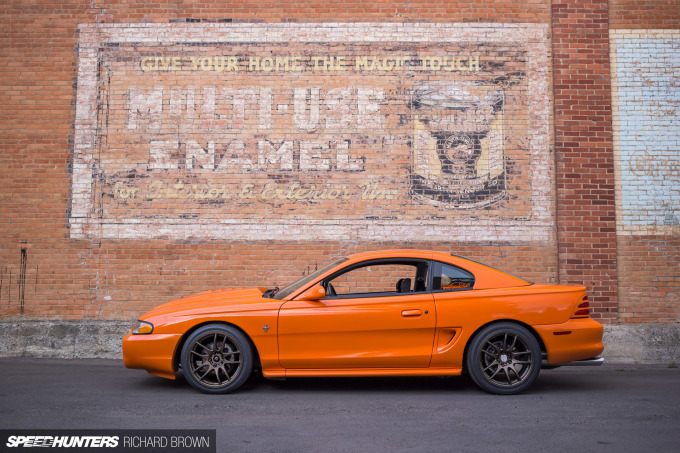 The SN95 is not the most popular Mustang, and even as an enthusiast of the generation I have to admit that it’s a somewhat unattractive car in stock form. But regardless of its appearance, the SN95 was a very important part of Mustang history, ultimately saving the model from a front-wheel drive future. My adventure began back in February 2007 with a father-son project. 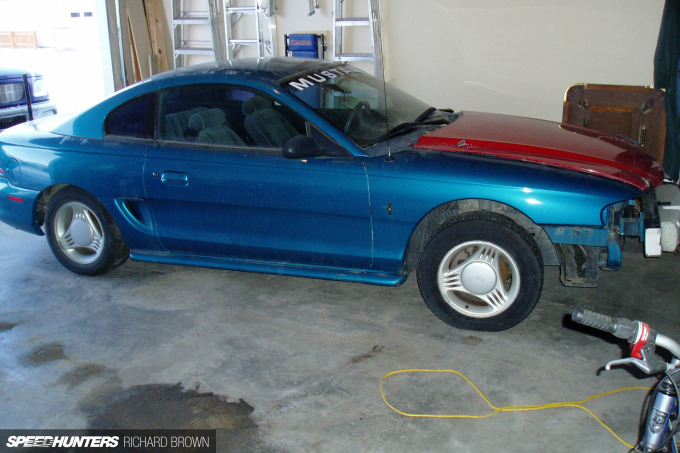 We were looking for a Fox Body Mustang, but instead came across a 1994 Mustang in the local paper for $400. Oddly enough, the car and I were both born in 1994, making us 12 years old at the time. The entire build was completed by my father and I in a standard two-car garage with jack stands, poor lighting, and no heat. Neither of us were automotive professionals. If I only had one word to describe the car’s original condition it would be rough. 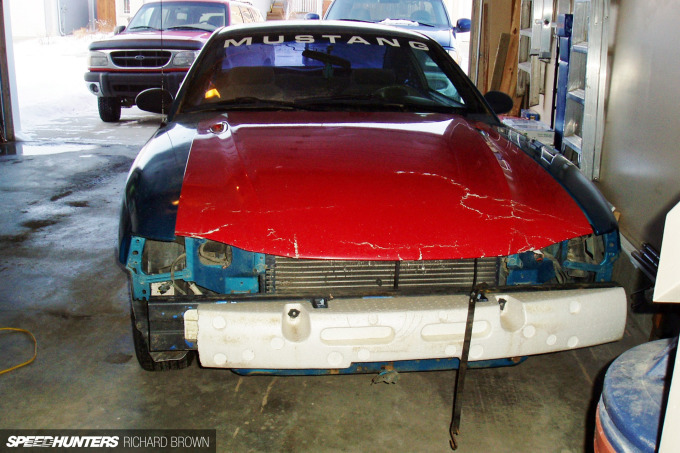 The previous owner had bought it as a parts car for his GT Mustang that had recently had a disagreement with a deer, and along with the missing body parts, the car was also missing a large amount of its clear coat. 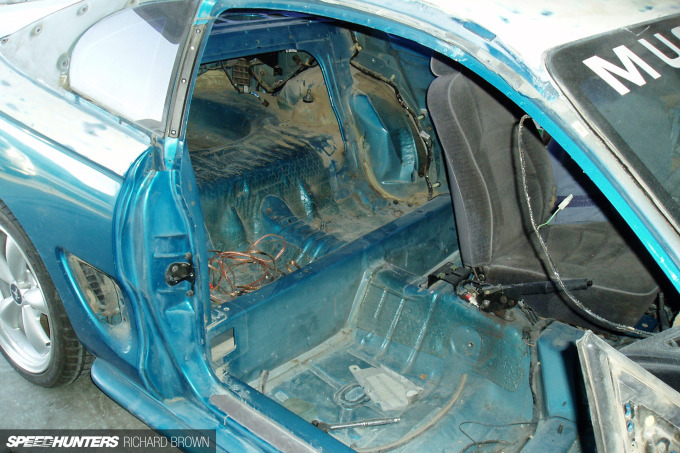 The car didn’t have much going for it; not even the interior was in good shape. And it couldn’t even move under its own power since the 3.8L V6 was not running either. 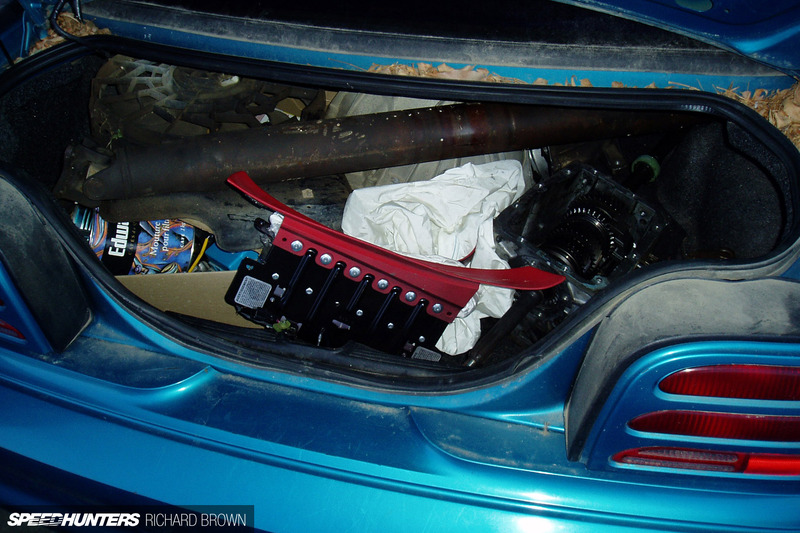 I suppose it didn’t help that the transmission and driveshaft, along with other parts, were jammed into the trunk. But despite the Mustang being destined for the scrap yard, my dad and I saw its potential. We towed it home the next day and since then I’ve been in love with SN95 body style. 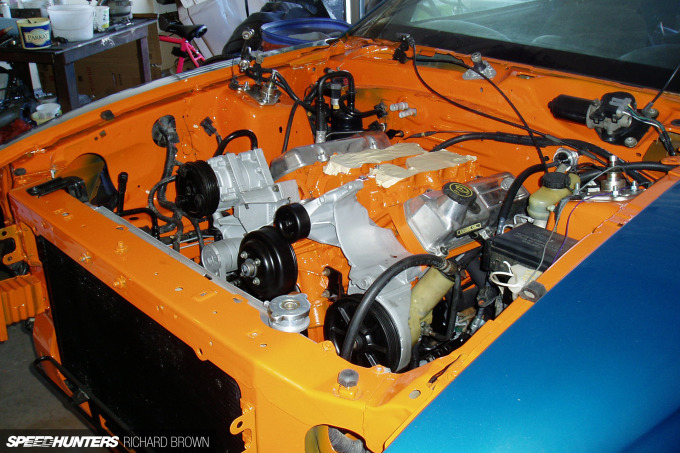 We had plans for an engine swap from the start since the original 3.8L V6 wasn’t running. 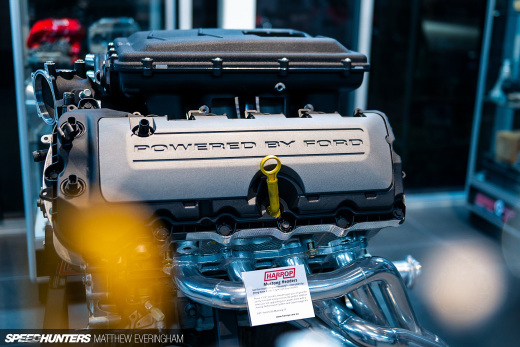 The first swap that typically comes to mind for most is the traditional 5.0L V8, however, we heard about a few people playing with the 4.2L V6 from an F150 and using an adapter plate to add the M112 supercharger from the ’03/’04 4.6L V8 Cobras. The idea of a supercharged 4.2 V6 sounded interesting and we ended up finding a wrecked 1998 F150 with the desired engine. The engine was pulled and the project began. 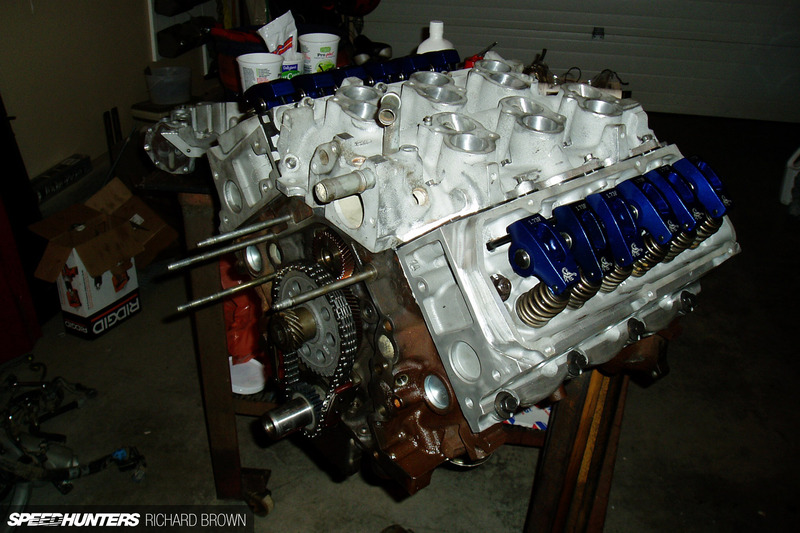 We rebuilt the V6 with an upgraded top end that included a cam, roller rockers, valve springs and some mild porting. 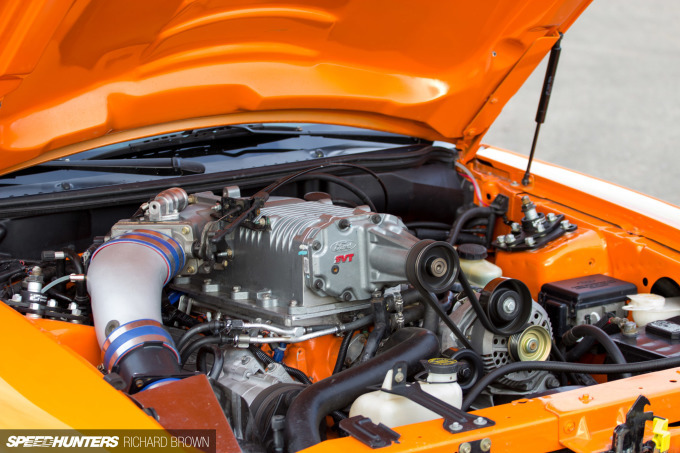 The goal of the build was to do something different while also making decent power for the era – around 300 horsepower. I knew from the start I wanted the car to be orange, and the colour we used is called Bright Orange, a 1994 Ford hue. 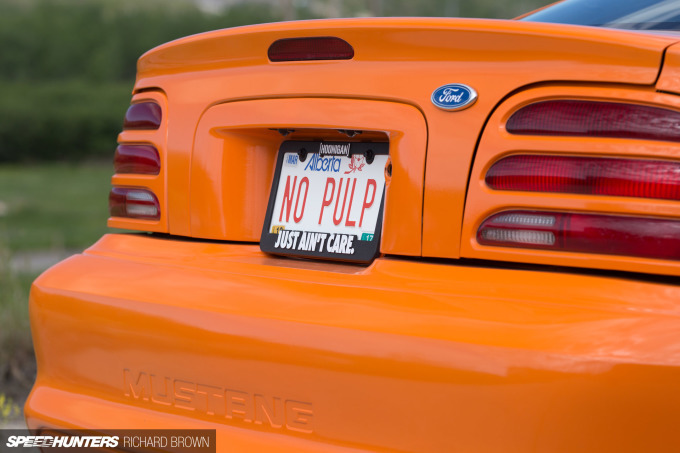 While it is often mistaken for the rare 1996 Bright Tangerine, Bright Orange was never actually used on Mustangs. 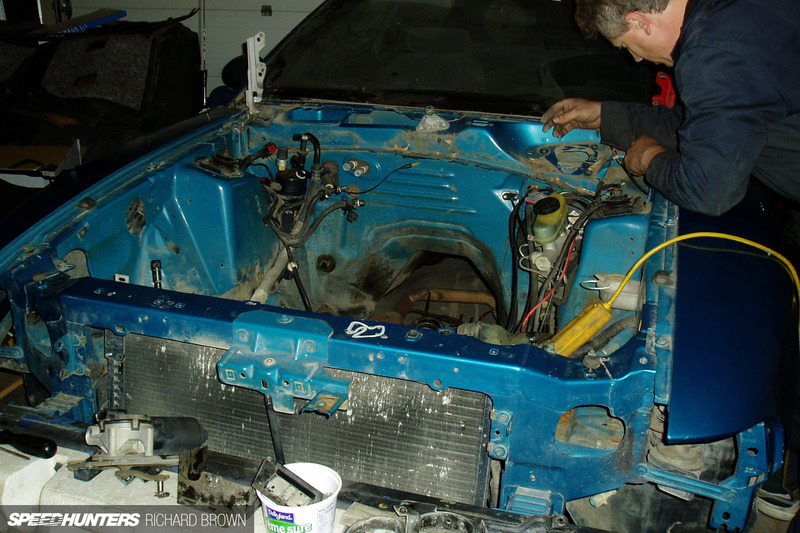 Next, the engine bay was stripped and painted. Once the new suspension was installed, the engine was placed into the car. I will never forget the feeling of hearing the engine my dad and I rebuilt firing up for the first time. 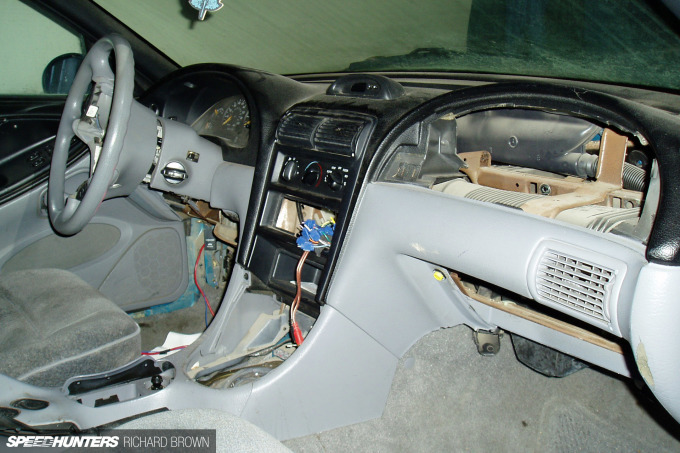 The original interior was removed and later replaced with the interior from a 2000 Mustang. 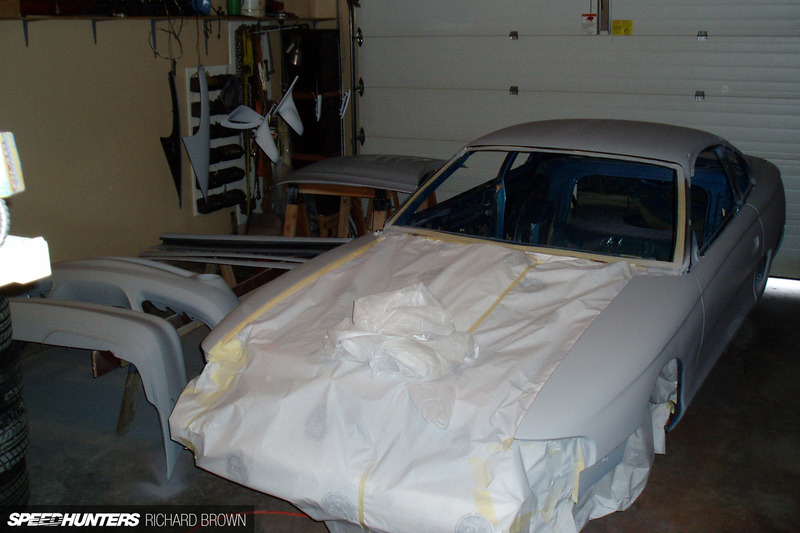 Body work and paint was the last step in the initial build. This stage was the most time consuming for us, but it was also the most rewarding. Even though we did the paint in our garage, I think it turned out extremely well. I mean, it’s definitely not a $10 000 paint job, but I wouldn’t want to drive it if was. After the initial build, the car was driven naturally aspirated for a couple years. Later on the supercharger was added, which required customization to the inside of the hood for clearance. 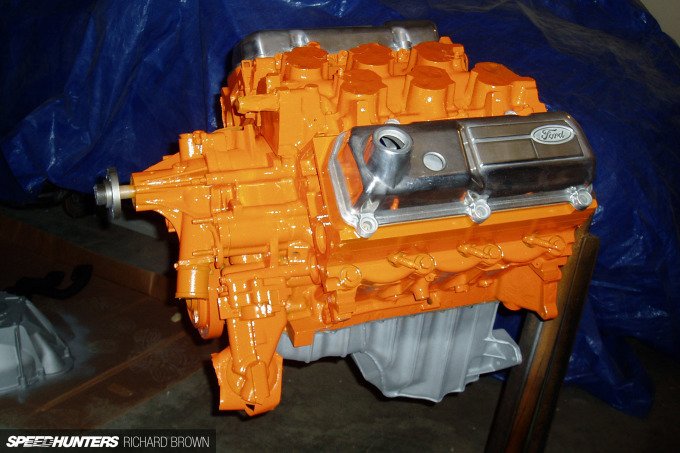 The supercharged 4.2 V6 produces an estimated 330 horsepower and 350 foot-pounds of torque at the flywheel. In comparison, a 1994 SVT Cobra with the 5.0L V8 has around 240 horsepower and 285 foot-pounds of torque. I had the typical silver Bullitt wheels on previously, but I wanted something different. Finally after years of searching, I pulled the trigger on a set of Work CR Ultimate (Kiwami) wheels. 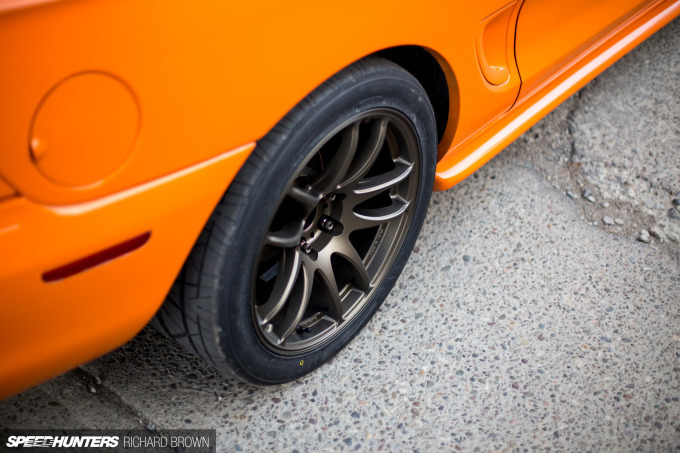 I have always liked the design of these wheels and had not seen them used on the SN95 generation. I was originally planning on going with silver, but was secretly hoping that only bronze would be available so I’d be forced to try a new colour combination. Besides the wheels, one of the newer additions to the car is my Corbeau LG1 seats in suede. I also recently added a harness bar, but at the moment it’s out for powder coating. 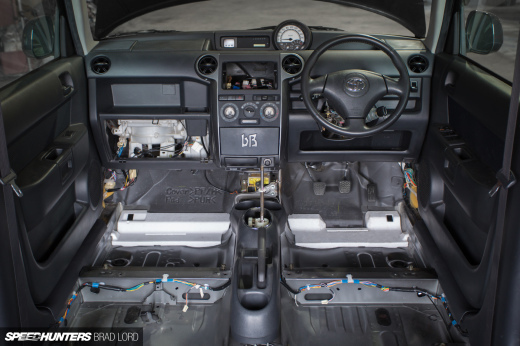 Moving forward, I’d like to focus on smaller details of the build, especially in the interior. 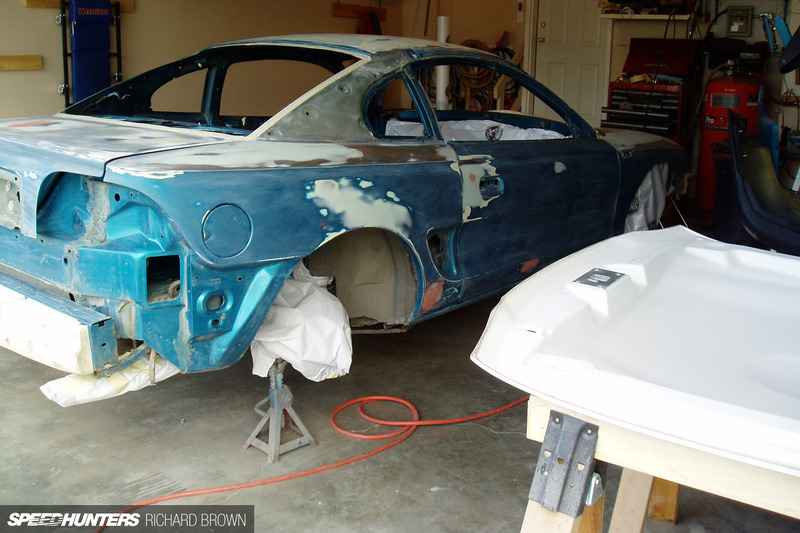 I’ll never truly be able to consider this car finished, as I plan on it being a lifelong project. 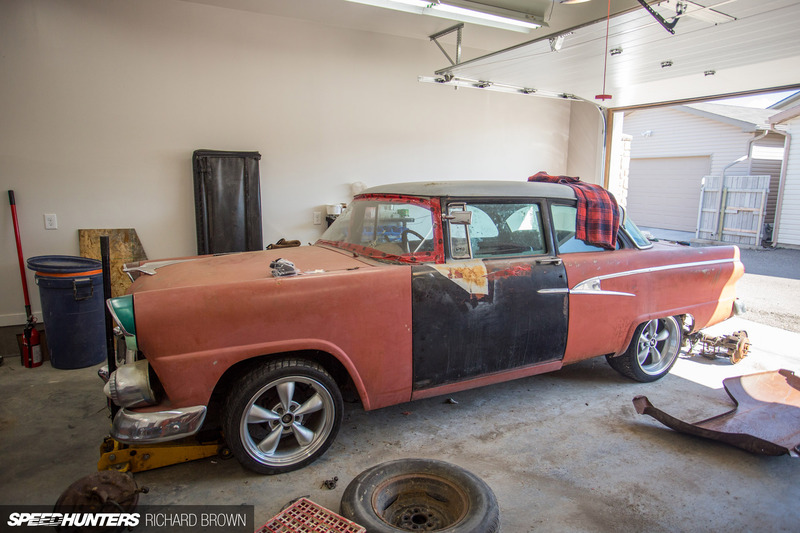 Even though my Mustang continues to be an ongoing project, my dad and I will start to work on our second project shortly: a 1956 Ford two-door sedan! I will always cherish the experience and knowledge the Mustang has provided, including the priceless time spent building it with my father. It isn’t always about the ending; the journey is just as important. I love it. I've got a S197 GT but the SN95s are probably my favorite. I think they look really sporty especially as Mustangs become more Grand Tourer these days. Love the stang! Got any 1/4 times with the supercharged v6? This turned out great, I gather you and your dad have always been Ford guys by the Fords in the background and new Ford project? This is an awesome build - very unique. Kudos for touching up all the mounting bolts (except one? lol) for fenders and hood. I hated being called a "mustang guy" haha. I owned an 03 Cobra (unmolested 16k miles) and had to endure constant badgering from friends (even from my wife) all because I come from an import background. BB6 Prelude, single turbo 350Z, and G35 coupe. You are making me miss my mullet sled. Top work Rich. It's awesome that you're rocking a modded V6. Time and time again people prove they can make reliable power and yet they still get no respect. I am hopeful we see more hunting from you as I know Calgary and area have some ridiculously awesome cars to share with the world. I love how you went with the Work wheels and I think the color definitely works with the orange on the body. I see most Mustangs on 5 spoke wheels, so you kind of kept it in the family with the split 5 spokes here, just a great call on choice! The rear looks so much cleaner and smoother without the spoiler too. The supercharged V6 is pretty unique, seems like most V6 cars I see have just cosmetic mods (and a lot of times are parading around like they are GT models). Keep up the good work! keep up the good work man, id say you are making a pretty good first impression with the posts you have made so far. Awesome build, I love it. I actually looking at the same scorpion rockers for my 302, haa. That looks awesome, and it can't be overstated how parent-offspring bonds can be strengthened through stuff like this. I still remember the day my dad and I fired up our MGB restoration.... the distributor was 180-deg out of place, but it still ran! Awesome car! That is the best license plate you could have gone with! 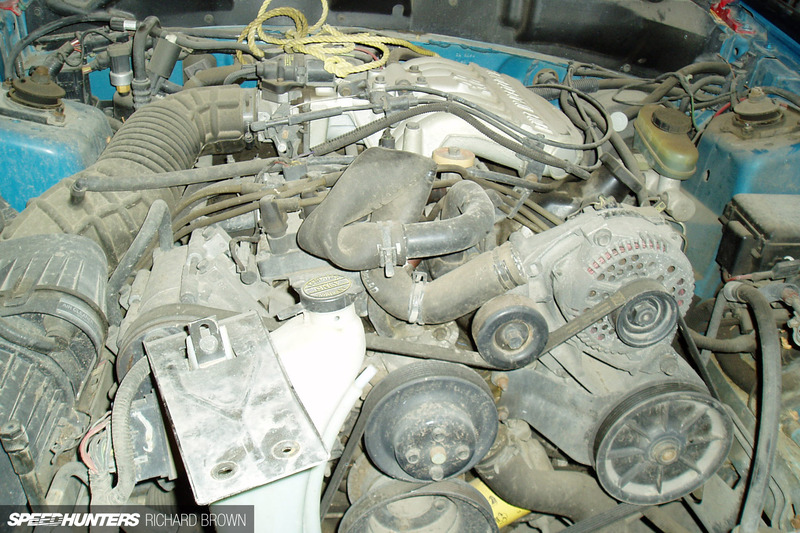 How many miles were on the engine when you bought it? No worries about the harness bar. The bar I'm using allows me to use factory seat belts. I mostly want the bar for appearance and eventually a place to mount a gopro/camera on road trips. We don't have much for tracks in the area and I rarely beat my car since it means too much to me. I hoping to get a track dedicated car down the road w/cage. Thank you! Yes there is lots of possibilities with the v6s that many people are unaware of. I'd love to share some more of Alberta with the world! Thank you, I appreciate it! It was a challenge to find a different wheel, but I think it paid off. I get bugged a bunch about putting a wing on the car, but I like the wingless profile too. I'm excited to work on the 56, he just picked up front end goodies! If I remember correctly the 4.2L had around 150k km before the rebuild. The mustang had around 250k km when bought. I know this may be a little far fetched, but I'm a 15 year old from Winnipeg, Wpg hold it down, and I was wondering if you could make a trip from Alberta down to here for the Driven YPG show? Great stuff, you never forget the sheer joy of your first project car. I never got to build a car with my father but my own kids are showing interest in them and I can't wait to do some wrenching with them in a few years' time. The base vehicle you start from is far less important than the passion and effort you put into making it unique. I'd even consider starting with a Ford myself. I'd love to come, unfortunately that weekend is Street Machine Weekend in my home city of Lethbridge. It's the weekend I look forward to all year! I hope you end up doing a project with your children, its a great learning experience and will mean a lot to them! Interesting build! My former roommate from college has built a New Edge V6 very similar to yours by Termi-supercharging a Ford V6. However he stroked and bored the 3.8L motor, bought most of Maximum Motorsports' catalog, but didn't have much left over for the beaten exterior minus a unpainted hood, and set of 18x9s wrapped in RE-71Rs. Anyway, what have you done (or plan on doing) to your awesome-orange 'Stang in terms of handling? I imagine putting down 330hp must be a handful, on what I'm amusing is the factory suspension, especially going around corners! Congrats on the feature!!! I've always been a fan of your build and can't wait to see what else you have in store. Very impressive build man. I WISH I hadn't totaled the 1990 Ranger me and my dad worked on years ago. Was a great learning experience, and although not on the same level as your Mustang it was awesome. War paint(red oxide primer over oxford white and black from rust repair) a Mustang SVO Head and Turbo. Was fun learning on it and to this day some of the best memories I've had with my dad. I have a 97 Mustang kenny bell supercharger, innercooler, 13 psi, engine rebuilt, new tsi trans, 450 hp, 500 torque, lots of fun building it! Love your car man. I saw it in post earlier and I like it. Now when I saw from what you build it....total respect man. P.S There is something in orange Fords. I could swear the colour on your Sierra is "ASBO orange" from the ST focuses... Great cars, very awesome colour. I don't like mustangs much but this looks really sweet, the wheels transform it and totally change the character, I like. Finally! A home-grown Mustang on Speedhunters! Always loved the dare-to-be-different builds. I've got a soft spot for Essex V6's, they always sound interesting even if they are kind of useless over 5,000 rpm. I do like that you upgraded to the 99+ aluminum PBR calipers and threw out the horrid cast single-pistons. Now you just need an IRS like I put in my Bullitt and 2015 brakes and 4-pistons to bring this into the 21st century. Color fits perfectly with this car. My dad had one of these in the 90's and I absolutely loved it. TylerHorne Is that Highland green like on Bullit's mustang? I'm a sucker for V6 Mustangs (I had a 2006 S197, and I loved it even if it wasn't the fastest thing on four wheels). Nice ride. My Uncle Jacob recently got a real nice Mercedes M - Class SUV only from working part-time off a macbook. linked here.. It's sad that there aren't too many 4th Gen Mustang (pre New Edge) enthusiasts out there. They're almost always beat up one way or another. Even at Cars and Coffee, I never run into them. It's nice to see one treated with love. 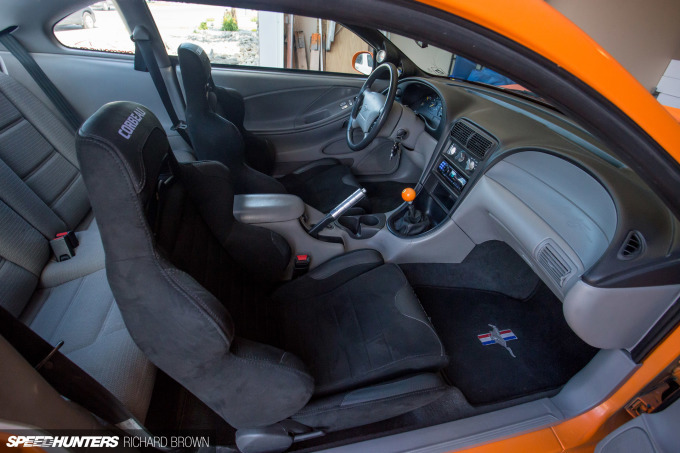 Loving that clean interior! Is it daily driven? Very true, the ones I typically see are badly abused. No, it wouldn't do well against Canadian winters. Definitely a cool and different mustang from the normal builds. You have added a SC to the engine and not had it on a dyno? I am admittedly in the camp that finds the fourth gen pre-Edge Mustangs the least attractive of the corral, but you have gone and done struck a chord in me. Not only was it good to see some homeland coverage, but a total father and son DIY job from a complete wreck is something that really does it for me. Don't tell the other SN95s out there, but you may have just redeemed the car for me. Fly wheel estimate to compare to the cobra fly wheel estimate. Apples to apples. I have always been a fan of the SN95. Nice to see one finally getting some love on this site! Great build!!! Very clean and not ordinary. It looks like a lot of fun! Looks great! I had a set of 18x9.5 gunmetal Work Emotions on my silver 2003 GT convertible. I got a lot of love and hate for them haha. Great work, fellow Canadian SN95er!